Musick studies family change with a focus on how it relates to social inequality and the well-being of family members. Current projects address questions about couples' work and earnings following first birth and the gendered nature of parenting both in the U.S. and cross-nationally. Musick is an International Collaborator at Stockholm University's Linnaeus Center for Social Policy and Family Dynamics in Europe (SPaDE). Does It Matter for Children If Their Parents are Married? Kelly Musick quoted on parenting tasks in Robert Preidt, "Who's More Stressed by Parenting -- Moms or Dads?" CBS News, October 12, 2016. Kelly Musick quoted on distributing time with kids between parents in Susan Kelley-Cornell, "Time with Kids Carries Extra Strain for Moms" Futurity, October 6, 2016. Kelly Musick quoted on the stability of cohabiting couples in Abbey Hull, "These Days, a Baby before Marriage Doesn't Mean Your Relationship's Toast" Red Orbit, October 5, 2015. Kelly Musick's research on the stability of married and cohabiting families discussed in Mary Bowerman, "Baby Before Marriage Doesn’t Increase Divorce Risk," USA Today, September 16, 2015. 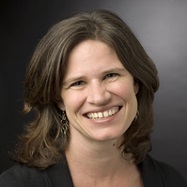 Kelly Musick quoted on on patterns of family change in Natalie Angier, "The Changing American Family" New York Times, November 25, 2013. Kelly Musick's research on on family dinners discussed in Allison Aubrey, "Family Dinner: Treasured Tradition or Bygone Ideal?," National Public Radio, February 26, 2013. "Is the Family Dinner Overrated?," Kelly Musick (with Ann Meier), New York Times, June 29, 2012. Kelly Musick's research on family dinners discussed in Christopher Shea, "The Not-so-Magic Family Dinner," Wall Street Journal, May 31, 2012. "How Parents Fare: Mothers’ and Fathers’ Subjective Well-Being in Time with Children" (with Ann Meier and Sarah Flood). American Sociological Review 81, no. 5 (2016): 1069-1095. Argues that although parents tend to enjoy time with their children, mothers report less happiness, more stress, and greater fatigue in time with children than fathers, due largely to their disproportionate share of basic and solo caregiving, as well as their lower quality sleep and leisure. "Change in the Stability of Marital and Cohabiting Unions Following the Birth of a Child" (with Katherine Michelmore). Demography (2015). Documents a weakening association between cohabitation and parental separation, given marriage occurs at some point before or after the couple’s first birth. "Variation in the Relationship Between Education and Marriage: Marriage Market Mismatch?" (with Jennie E. Brand and Dwight Davis). Journal of Marriage and Family 74, no. 1 (2012): 53-69. Finds that college attendance promotes marriage among men and women from socially advantaged backgrounds, but reduces marriage changes among the socially disadvantaged, suggesting a mismatch in the marriage market between individuals’ education and their social origins. "Assessing Causality and Persistence in Associations between Family Dinners and Adolescent Well-Being" (with Ann Meier). Journal of Marriage and Family 74, no. 3 (2012): 476-493. Examines the oft-studied association between family dinners and adolescent wellbeing, finding weaker evidence of their benefits than reported elsewhere, net of a rich set of controls and other tests of causality. "Re-Examining the Case for Marriage: Union Formation and Changes in Well-Being" (with Larry Bumpass). Journal of Marriage and Family 74, no. 1 (2012): 1-18. Finds many similarities in the effects of transitioning to marriage and cohabitation on men’s and women’s well-being, with differences by union status tending to be small, dissipating over time, and not always favoring marriage. "Education Differences in Intended and Unintended Fertility" (with Paula England, Sarah Edgington, and Nicole Kangas). Social Forces 88, no. 2 (2009): 543-572. Argues that the higher completed fertility of less educated women is due largely to unintended childbearing and cannot be traced to common explanations in previous research, calling for further attention to alternative mechanisms, including social class differences in barriers to contraceptive use and relationship dynamics.